Deputy Chairman Kurien, expressing his inability to proceed with the division of votes amidst the din, adjourned the House for the day. "Sir, in a democracy majority opinion prevails. 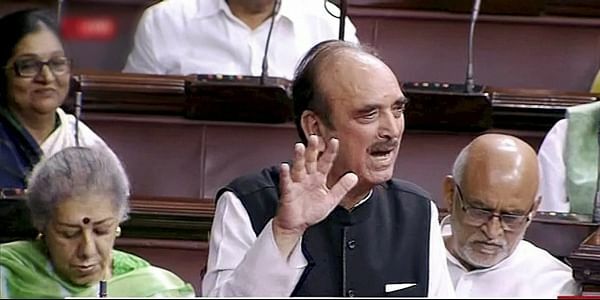 Let's have a division of votes on the issue," Leader of Opposition Ghulam Nabi Azad told the Chair amid ruckus by the treasury benches. "Sir, check the records of the BAC to see if the Chairman had said it or not... Parliament cannot be a rubber stamp of the government," Sharma said. The government has got the Bill passed in the Lok Sabha, ignoring the opposition's demand to refer the Bill to a Parliamentary Standing Committee for closer scrutiny.